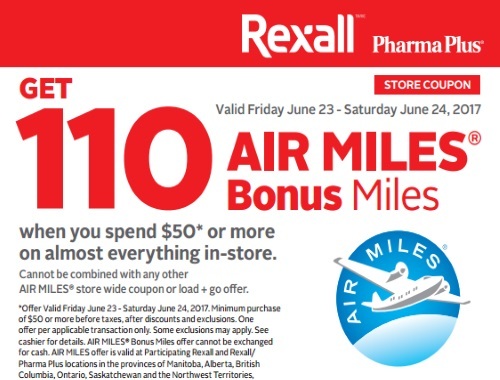 Celebrate Canada's 150th birthday with a great Rexall Pharma Plus Air Miles coupon! Get 110 Air Miles Bonus Miles when you spend $50 or more. Coupon is valid Friday June 23-Saturday, June 24, 2017. Show the coupon on your mobile or print it to show the cashier. Anyone else think they should of made this 150 Air miles? Would of gone better with the birthday!